Top Shot Calculator - Discover the full potential of your fishing reels line capacity! 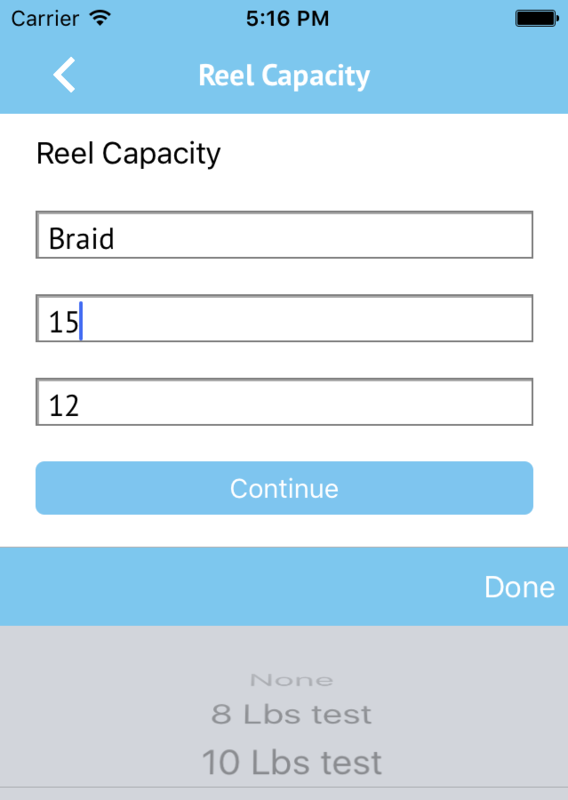 Top Shot Calculator - Discover the full potential of your fishing reels line capacity! Discover the full potential of your fishing reel's line capacity! Save time and money using our app! Find out how much top shot you have. Enter in your reel capacity and backing. You’ll know how many yards your top shot has. Want a 100 yard top shot, calculate how much backing you need to give you exactly 100 yards. Change your measurements settings to metric, standard or even KG and Yards. Enter in your line capacity, enter your backing, add the "lbs test" of the top shot you want and you get the yardage. Its that simple. Top shot calculator was created by a need to save money on fishing line. We needed a way to figure out how much line we needed to buy to fill all our spools. Now we know! The app has many other uses. When purchasing reels make sure they hold the amount of line you want with your braid and topshot. 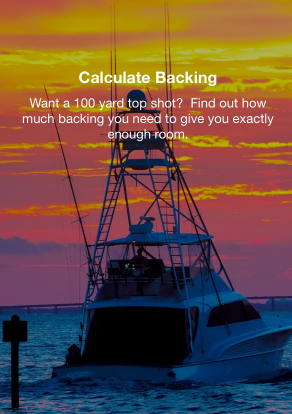 You can also calculate your backing if you only want a specific yardage of topshot. Want to only buy 150 yard spools of braid? Figure out how much mono to put on the reel before you add your braid. Use a line counter to help with this application. Our introduction walks you through the different options Top Shot Calculator has. We don’t want you to miss all the amazing features. With Top Shot Calculator all calculations start by entering in your line capacity. Enter in the line size, type, and yardage and click continue. See the yardage you need. 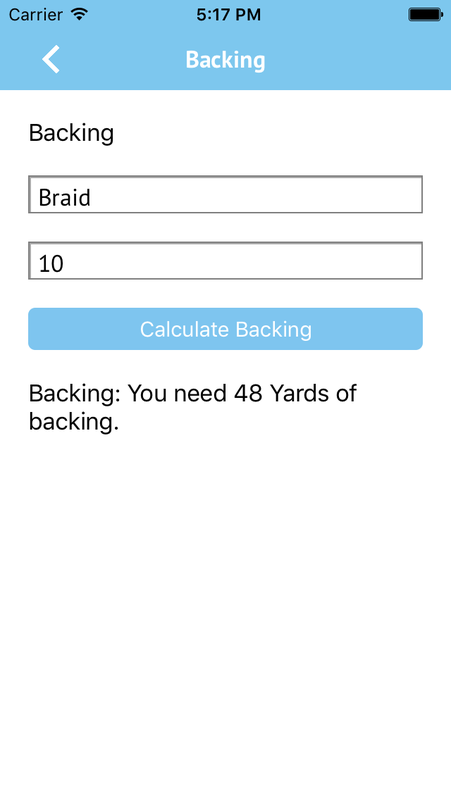 After going through the steps for backing or top shot, your final step in hitting calculate will tell you the final yardage you need. 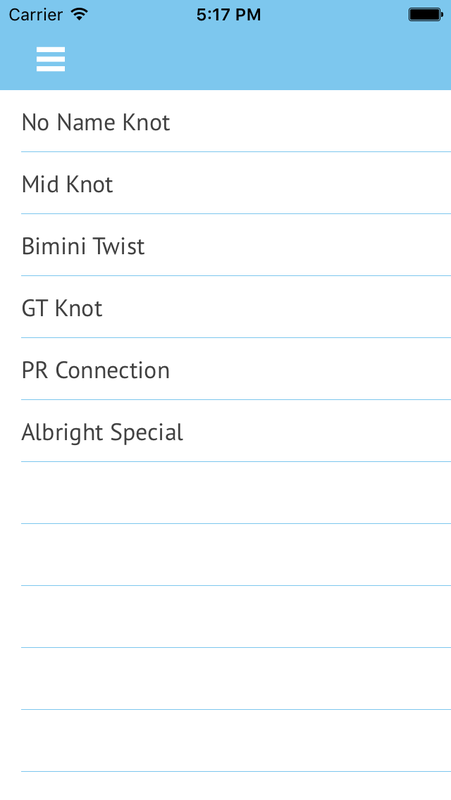 We have compiled a list of knots that will help with your braid to mono connections. Learn from the videos we use every day. Have a suggestion or comment, we would love to hear it! Please provide your email address and a message below. We'll get back to you as soon as possible.